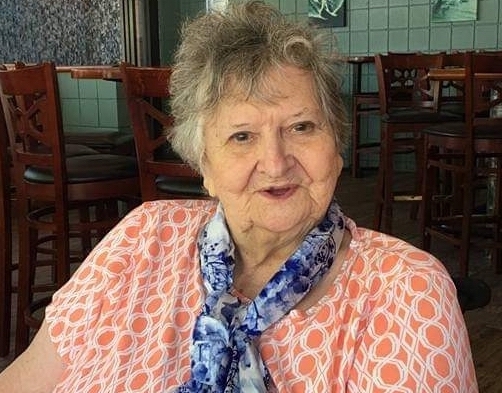 Mary Ellen (Shane) Scott, 81, Sioux City, IA passed away Sunday, January 20, 2019 at Accura Healthcare. Mary was born September 17, 1937, in Rushville, IN, to William Eli and Clara Rosetta Fox Shane. Mary was very active in high school and graduated from Graham High School, Rushville, IN in 1956. She grew up in the Salvation Army church. She attended Salvation Army Training College in Chicago from September 1956 to 1957. For two years she was commissioned from Cadet to a Probationary Lieutenant. She was stationed in Linton, Bicknell, and Frankfort, IN to serve and then returned to Rushville, IN. She was very active in Sunday School, Junior Legion, and attended Corp Cadets for six years. She was also active in the Young Peoples Legion (YPL) and attended the councils in Indianapolis. She won a scholarship to attend the Territorial Bible Leadership Institute in WI. Part of the Corp Cadet program took her to travel in London, Holland, Switzerland, and France for four weeks. Mary worked various secretarial jobs in her life. She enjoyed crafting, fashion, and shopping. Most of all, she enjoyed spending time with her children and grandchildren - they were the light of her life. Even more so, Mary was a ray of sunshine in everyone's life she touched. Mary's strong faith was a great foundation for her family and we are rejoicing that she is now in her eternal home. She is survived by three daughters, Lori (Mike) Sparks of Kirkland, WA, Carol (Ed) Voloshen of Sioux City, IA and Sondra Tewell; Grandchildren, Brandon Burress and Rachel Inboden, Jasmine Scott and Jay Lewis, Andrew(Ashley) Catt, Aaron Catt, Eddie Voloshen, and Ella Voloshen; Great grandchildren, Kira Moore, Kierra Lewis, Ally Lewis, Bentley Burress, and Ava Winterrowd along with several nieces and nephews. She was preceded by her parents, brothers and sisters, Beatrice Gwinnup, Lillian VanSickle, William Shane, and Edward Shane. A funeral service will be held on Monday, January 28, 2019 at 1:00 PM at the the funeral home. Visitation will be held from 11:00 AM until time of services at Fredrick and Son McClure-Utt Funeral Home Bicknell Chapel. Online condolences may be made at www.fredrickandson.com.